ÅF is represented at the Nordic ISACA Conference in Copenhagen. ISACA is a well-known global organization that among other things issues a number of certifications within the area of information security. 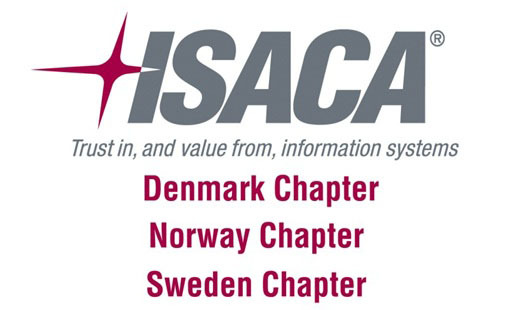 The Nordic ISACA Conference is held annually and this year’s conference is located in Copenhagen, 20-21 April. ÅF has 2015 been accepted as speaker through Jonas Halldin, Market Area Manager for Assured Security. Jonas holds a number of certifications from ISACA such as CISA, CISM, CRISC. He is also a certified PCI QSA. This conference is a great opportunity for ÅF to show our competence within the area of information security. In Copenhagen Jonas Halldin will speak about ”Cyber risks goes mobile and how do we pay for it?”. Beside ÅF and Jonas Halldin other speakers are for instance Jacqueline Johnson, Head of IT Security, Nordea and Robert Mungenast, Head of Information and IT Security, Lantmännen Group.